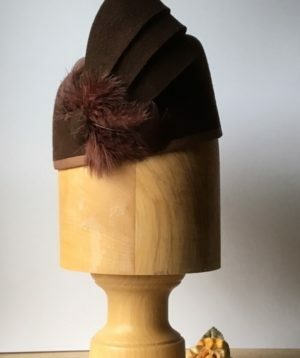 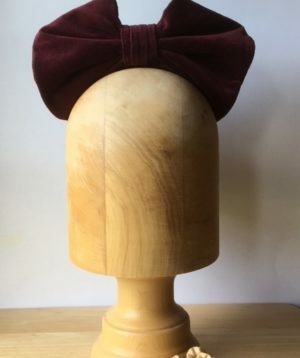 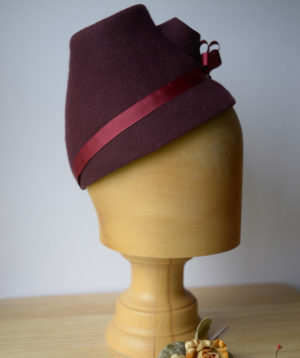 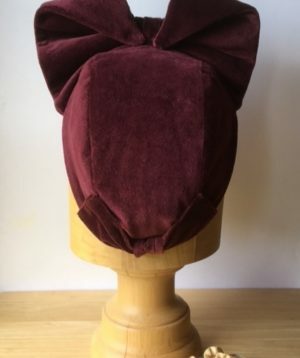 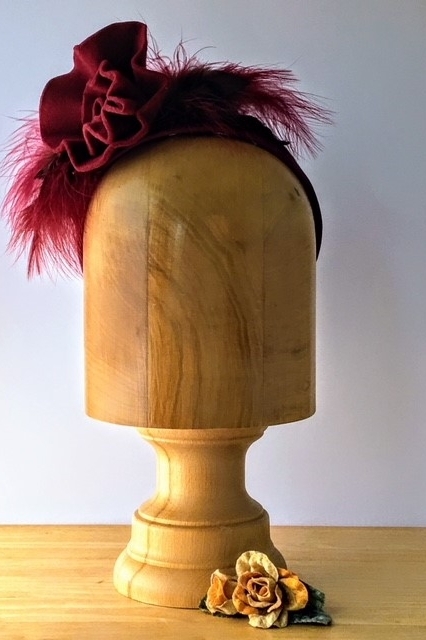 Lovely brown and claret coloured calot style felt hat. 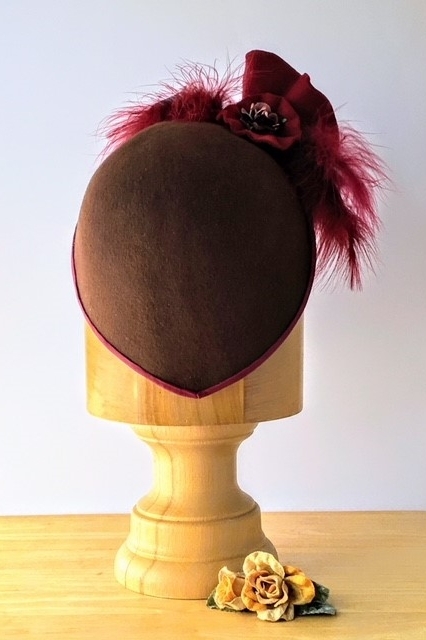 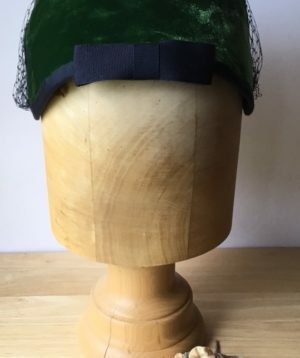 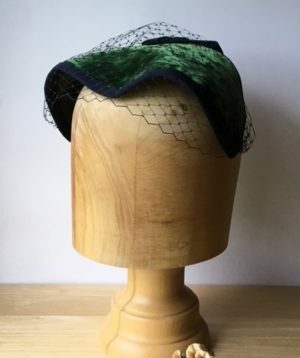 This hat is great if you want to hide un-styled hair on the crown but show styling elsewhere. 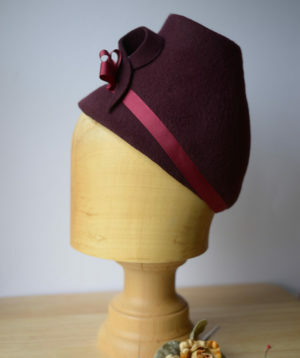 It is finished on the edge with a twisted brown felt motif and claret coloured rosettes to front and rear view. 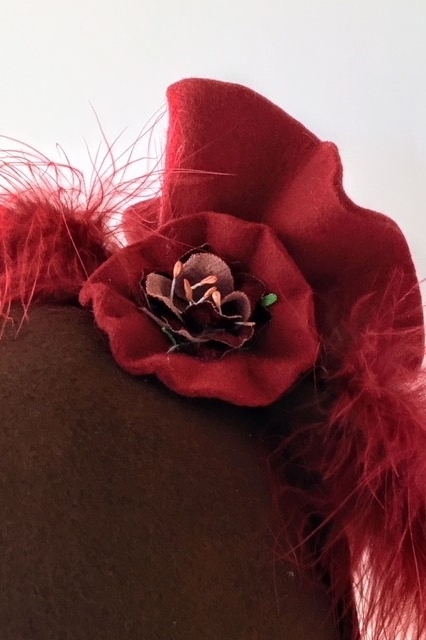 The rear flower has an original 1940’s vintage flower as a centre-piece. 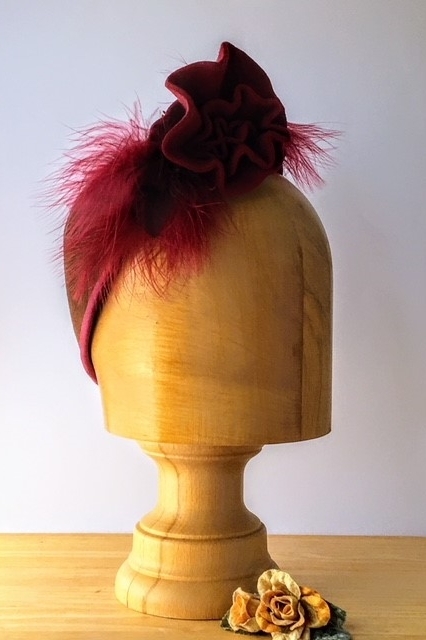 Matching claret and contrasting smaller feathers feathers are set either side of the felt flowers. 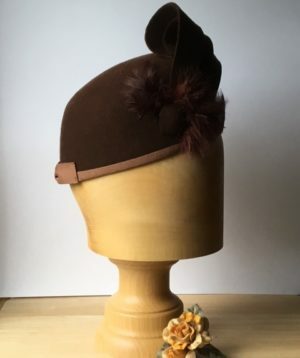 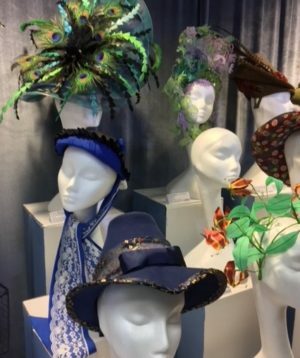 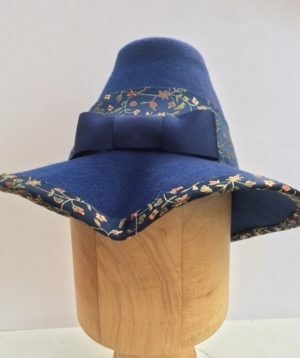 The hats is lined with a brown liner.